Como Lube and Supplies, Inc. operates a fleet of bulk vehicles dedicated to the management of used oil. We specialize in crankcase, hydraulic, transmission and gear oils. We manage nearly one million gallons of used oil every year. Como has developed one of the top used oil management programs in the nation by helping reduce generator liability through tracking, analysis, and regulatory compliance. Como also maintains the highest levels of financial assurances that include general liability insurance and pollution prevention insurance. Our flexible service eliminates hassles and potential downtime. Whether you need scheduled, unscheduled or emergency oil collection, we’ll be there. From bulk to drums, when you partner with Como, you join our team of professionals dedicated to both your business and our environment. We handled all your waste stream management issues in full compliance with all Federal, State and Local regulations. 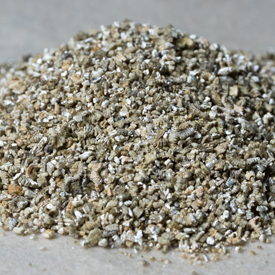 This relieves you of the environmental burden and keeps your future protected. The Como program typically begins with the generator certification and service agreement. The Como representative obtains a representative sample of the generator tank to perform various analytical tests to ensure that the used oil meets the EPA Used Oil specification. A combustible gas/halogen screening may be performed to ensure quality of the used oil stream. After the sample is cleared, the collection of the material by our trained staff occurs on a scheduled route. After the collection occurs, a shipping paper is left with the generator. The product will be received into the nearest Como facility where a daily truck sample is taken and retained. Used oil is off-loaded into a storage tank and a representative sample is submitted to a laboratory for analysis under 40 CFR 279.11. After the testing is complete and the used oil is certified as on-specification fuel it will be marketed as such. Como retains all samples received by our laboratory for three years. The customer is then provided with an invoice that includes the analytical data for the used oil collections. Como Lube and Supplies, Inc. manages nearly 250,000 gallons of spent antifreeze each year. We provide a sound alternative for our customers who want to protect the environment from the toxic effects of the ethylene glycol in the antifreeze. 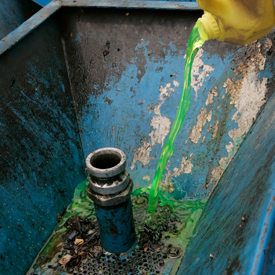 As with most of our waste management activities, resource recovery is the focus of our management of used antifreeze. Como accepts non-hazardous used antifreeze. Como provides a labeled drum or bulk tank for proper storage and transportation. A collection shipping paper is created and a copy is left with the generator. The used antifreeze is then consolidated at the nearest Como facility where it is consolidated for shipment to a used antifreeze recycling plant for the sole purpose of recycling into new ASTM specification antifreeze. Como Lube and Supplies, Inc. offers its customers a filter-recycling program that protects them from the long-term liability of sending the filters to a landfill or other so-called “recycling” processes. Every part of the filter is recycled along with the residual wastes associated with processing them. Como accepts nonterne plated steel spin-on automotive and truck filters. Como provides approved lock top drums for proper storage and transportation. A collection shipping paper is created and a copy is left with the generator. The used oil filters are then consolidated at the nearest Como facility and transported to our fully automated filter processor. Using a crushing force of hundreds of thousands pounds, a uniformly dense cylindrical brick is produced with maximum oil removed. They are then transported to steel smelters in Michigan where the steel and filter element are recycled. 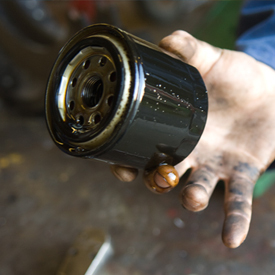 Remember, in Minnesota and Wisconsin, recycling used motor oil and oil filters isn’t just a good idea – it’s the law! You are responsible for the waste from the “cradle” – the time the waste is first generated to the “grave” – the time the waste reaches final disposal, and sometimes beyond. While this method of management is slightly more costly than other forms of filter management, this method fully protects our customers from long-term liability by ensuring that no part of the filter goes to the landfill. Como accepts used oil absorbents, rags, pads, booms, and other spill/leak products. Como provides a labeled, lock top drums for proper storage and transportation. A collection shipping paper is created and a copy is left with the generator. The used oil absorbent is then consolidated at the nearest Como facility. The used oil absorbent is then transported on a shipping papers to an authorized recycler and preferred vendor by the State of Minnesota, where it is used for fuel recovery. 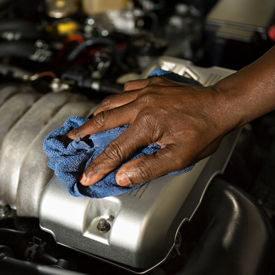 Como Lube and Supplies, Inc. began providing its customers with parts cleaning services in 1978. The core of the program incorporates mineral spirits cleaning solution with the highest quality equipment. Como personnel only manage the mineral spirits in a closed loop system. When the product becomes spent, it is properly packaged, labeled and loaded onto Como’s vehicle. Como reclaims the spent material in a distillation system at our Duluth facilities. 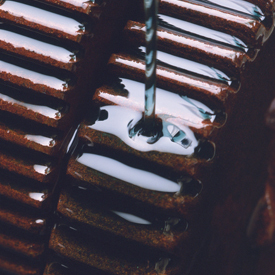 We safely reclaim nearly a half million gallons of our customers’ spent mineral spirits each year. Como offers a variety of sizes and styles of parts cleaning equipment for solvent based cleaning applications. This equipment can be leased or purchased. If the lease option is chosen, Como will maintain the equipment to insure that your parts cleaning needs are met. In addition, we can provide service on any type of equipment that you may already own. Como’s service does not stop at solvent based cleaning technologies. We offer a variety of aqueous based materials and equipment – from OSHA approved brake washers to cabinet washers for larger applications. As with all of our other wastes, the oily water waste is managed with protection of the environment in mind. 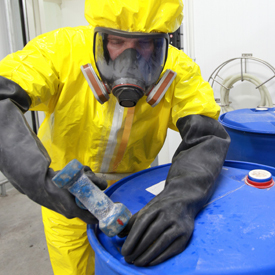 The proper management of hazardous and non-hazardous waste is critical to a company’s survival in this age of growing regulation. Como puts its customers’ minds at ease with programs that help ensure the avoidance of long-term liability associated with the handling of their waste streams. Como is a fully licensed transporter of hazardous and non-hazardous wastes. We have researched many alternatives for the management of these wastes and can offer the safest, most economical alternatives to our customers. Trained Como personnel can safely package, label and transport these waste streams. Various non-hazardous liquid, sludge and solid waste streams are typically transported to our Duluth or Hugo facilities and safely stored, until they are transported to an appropriate treatment or disposal facility. We are equipped to handle a wide range of automotive and industrial wastes. Our personnel can aid in properly characterizing these wastes and making recommendations on appropriate treatment options. Our staff is HazMat trained, and are available on short notice to meet with you on site, to provide an approved plan and quote for material removal. No need to worry about where those materials will end up. All items will be properly containerized and disposed by PCA approved methods. We consistently exceed regulatory guidelines and requirements for environmental protection. Como will make running your business easier by keeping up with all permits, rules, regulations and reports required for compliance with Federal, State and Local requirements, which can help avoid unnecessary fines. Wastes are classified as “hazardous” if they have certain dangerous properties (for instance, if they are flammable, corrosive, or toxic). Wastes can also be automatically classified as hazardous if they are produced in certain manufacturing processes. You are responsible for the waste from the “cradle” – the time the waste is first generated – to the “grave” – the time the waste reaches final disposal, and sometimes beyond. You have to use a licensed waste hauler (Como) to transport the waste off your site. You have to keep a record (called a “shipping manifest”) of the shipment for a specified period of time. Complying with today’s complex environmental regulations can be a full time job. Como has trained personnel on staff with the knowledge to help our customers stay in compliance. We also have affiliated ourselves with a network of professionals who can assist you with virtually any compliance issue. Our staff can meet with your company’s representatives to help set up waste segregation programs or to help them understand day-to-day compliance issues. We have also provided our customers with technical bulletins that contain up to date information on changing regulations from EPA, DOT and OSHA. Como can help ease some of the burden associated with preparing the documents needed when managing wastes. Our staff can prepare all manifests, land disposal restriction notices and other shipping documents. We also provide the necessary labels for our customers’ waste containers.